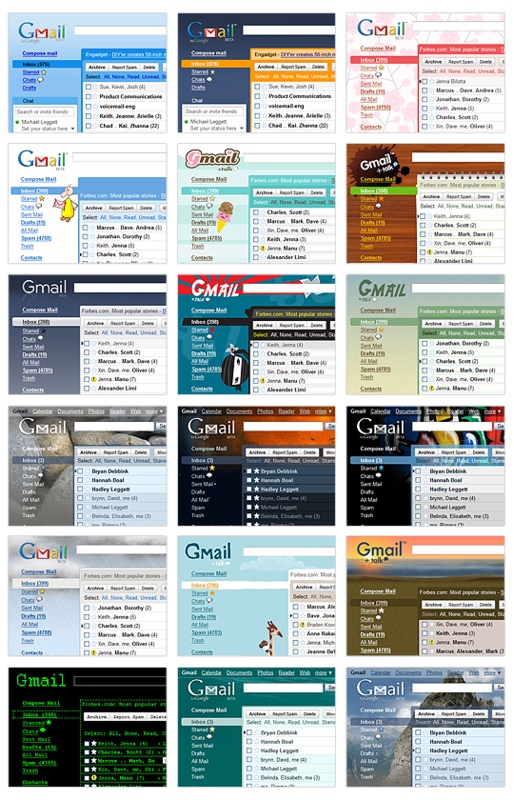 Gmail fans have been building unofficial extensions to spice up their inboxes for a while, but up til now themes haven’t been an integral part of Gmail. We wanted to go beyond simple color customization, so out of the 30 odd themes we’re launching today, there’s a shiny theme with chrome styling, another one that turns your inbox into a retro notepad, nature themes that change scenery over time, weather driven themes that can rain on your mailbox, and fun characters to keep you in good company. To customize your inbox, go to the Themes tab under Settings. I don’t see the settings available yet on my account, so I might be checking back soon. UPDATE: The themes setting is available now on my account. Should be available on yours too. Enjoy. Woohoo!! Oh yeah! Love it. Unfortunately I don’t have it in my settings either. it’s in my setting now..in themes tab..
Not fair! Hmm… should we believe him? Make a screenshot! OMG, i like the second from top-left. look so cool. not fair. i didnt see the option either. I know, it’s pretty cool! I was in my inbox when the themes went live! I already have mine in place, and yeah, it is in my settings tab also. Yeah. It’s finally here. Now I have themes on my gmail…woohoo!! It is cool. I just play around with it. Nazham… The themes are looking awesome! I must say it was google’s day on 20th. It also launched Google SearchWiki. Check out my page http://read2know.com/google/google-launches-searchwiki/ for more details on this!